My Cluttered Corner: It is Monday Again...already??!! Here we are at another monday. I think I am shocked because this weekend was a blur of runny and stuffy noses and little else. Oh well, hopefully it is moving OUT this week and we will back to fun next weekend. 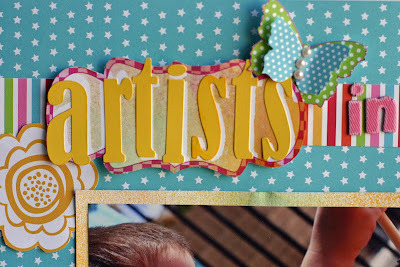 I used some Tattered Angels Glimmer Mist for the photo block matte and the background of the title. The papers, house stamp and stickers are Bella Blvd. 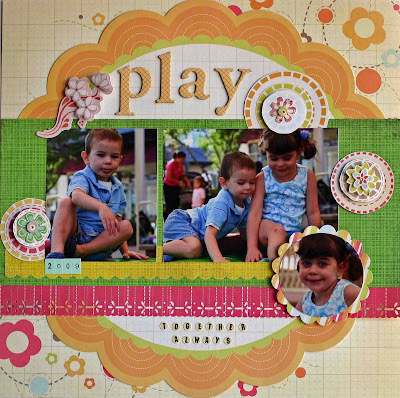 Head over to ScrapTiffany to check out the other designers work. Gorgeous stuff going on. 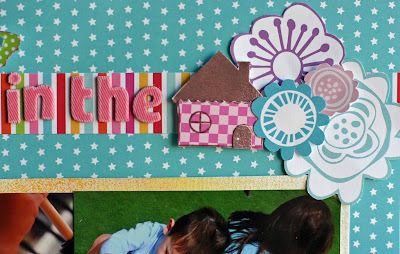 I also completed another layout with the Color Me Daisy January kit Homemade Treats. Check the kit out here. 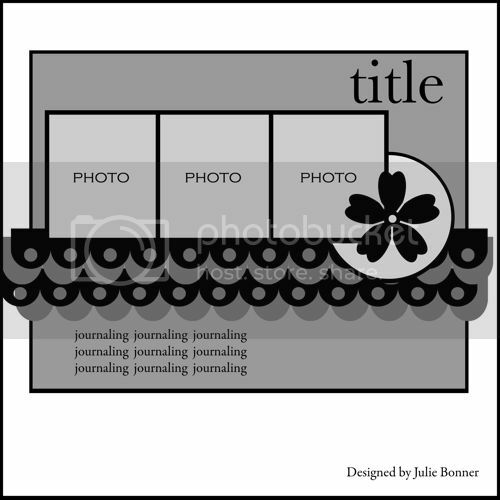 This layout is based on Julie Bonner's amazing sketch challenge for this month. Here is the sketch. 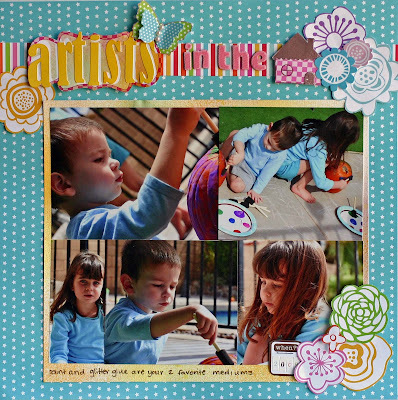 If you take the challenge, be sure to upload your page to the Color Me Daisy Gallery and post a reply to this thread in the forum. i am digging that title in the first one...so COOL! Rebecca I just love your layout! The colors are gorgeous and the design is great too. You rocked this one girl, as you always do! Sweet pages, girl. Love how you misted the letters in your first title and then off-set them with the actual letter stickers! Wayyy cool! Adorable! Totally Adorable! What a fun LO! 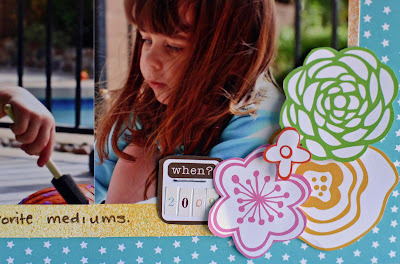 I love this layout Rebecca. I love the colors and the photos. It's great to see pics not posed. Especially with kids. Much easier. Great job! !